After Symmetrain I have started working on a new video game. This time the game design is not mine and I am in the position of concept artist. Here are two character sketches that I made today. I am not so sure how I feel about them, yet. 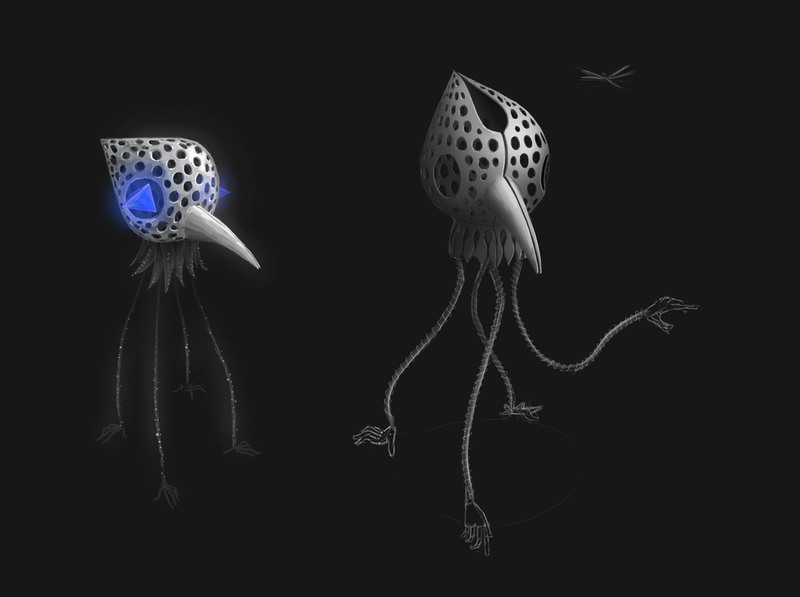 Although somewhat morbid with the shell like bird head I also like the eeriness of these designs.